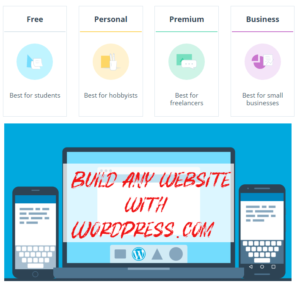 Need a Best WordPress Premium Theme for your business or blog. We have listed Best WordPress Premium Themes Developers. Working on your mew project or want to but Premium WordPress Themes for your clients, In this article, I am listed best marketplaces and online shops to purchase WordPress Themes. There are thousands of free and premium themes available for WordPress, it is not easy to choose from thousands of themes. From individual developers to market places, everyone is selling premium WordPress themes. If you want to know more about the Best WordPress Premium Themes Developers, this article is for you. It is not easy to say who is the best premium WordPress themes developer. There are many market places, individual developers and theme shops, where you can buy best WordPress premium themes. You can buy best WordPress themes or even download free premium themes from them. Many WordPress premium themes developer offers free themes as well. The Advantage of buying premium themes is that premium theme developers offer premium support, security is a big issue, and you also receive regular updates. Most premium theme developers who sell best WordPress premium themes are professional developers. They care for their customers. Premium theme developers update their themes as soon as new version of WordPress is available or if there is a security risk. When you decide to buy a premium theme, you should buy premium WordPress themes from trusted developers. Never buy out dated premium WordPress themes. Most of the Best WordPress Premium Themes Developers are selling best premium WordPress themes for years and serving hundred of thousands of customers. I believe they are Best WordPress Premium Themes Developers because thousands of customers can’t be wrong. In this article, I am going to list some of the Best WordPress Premium Themes Developers and marketplaces and You will learn about everything You Need to Know About Buying a Premium WordPress theme. Here is a list of best premium WordPress theme developers and marketplaces, where you can buy single theme or access all themes with their subscription plans. This is another popular market place for developers and designer to create and sell their WordPress themes and templates. You can also find plugins for different Content Management Systems here. TemplateMonster is a leading player on web design market proudly providing thousands of its templates of different types to the audience from all around world. There are more than 20,000 templates in their collction~ This company sales website templates since 2002 and holds the 4th position in the webdesign category on TrustPilot. We have listed most popular and Best WordPress Premium Themes Developers. You can buy Best WordPress Premium Themes for your business, blogs and client projects. 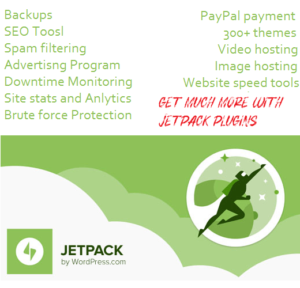 You can buy themes for almost any type of WordPress project. Previous Previous post: Quick Tip: How to Hide/Disable PHP Errors in WAMP Server Windows?